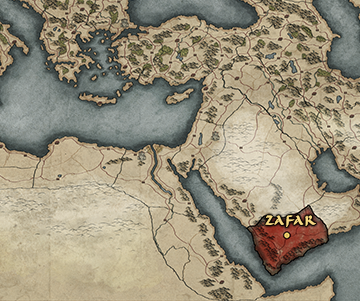 The Sabaean Kingdom is diminished and, in its place, Himyar ascends! The victorious Shamir Yuhar'ish has declared himself "King of Saba, Dhu Raydan and of Hadramawt and Yamanat" at his coronation, and no one dares challenge this proclamation. Sabaean local power was based, in large part, on overland trade routes, but Himyar has discovered and exploited new sea trade routes to India, making it the principle economic power in southern Arabia. 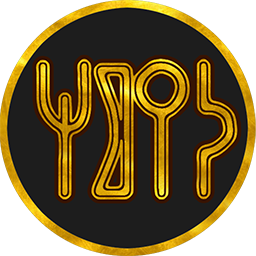 Much like neighbouring Aksum, Himyar controls the flow of trade along major trade routes to the east. The militaristic Himyarites relentlessly pursue their aims, particularly when facing the hated Aksumites. Himyar has even recently converted to Judaism, seemingly only to fuel the constant war that rages between them. It has sacrificed much to hold onto a powerful position during a tumultuous time, and will surely seize the future by force of will alone! Surrounded on all sides by ancestral enemies and having recently changed their state religion, the militant kings of Himyar are intolerant of perceived threats to their power - regardless of the source. Ma'rib Dam: Unique fertility-boosting building at the capital.